Digital version reviewed for Xbox One. As mentioned in the review, the multiplayer component was not ready in time for this review. Review copy was provided by the publisher. 'Watch Dogs' was developed by Ubisoft Montreal and released in May 2014. It was set in a near-future Chicago under the thrall of "big data", a term for corporations that quietly gather information on the electronic footprints of citizens and then hand it over to the government or other unscrupulous bodies. Sales were good enough for Ubisoft to work on a sequel, and now we have 'Watch Dogs 2' for PC, PS4, and XB1, this time set in San Francisco and a decidedly different game from its predecessor. 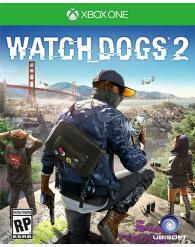 The hero of 'Watch Dogs 2' is Marcus, a young hacker who wants to prove himself to the hacktivist collective DedSec. He physically infiltrates a Blume server facility to hack ctOS 2.0, the citywide digital infrastructure that connects nearly everything with a computer chip. He discovers that his ctOS profile paints him as a dangerous, antisocial criminal, and also that Blume is using data against people. He deletes the profile, fabricates a false one in its place, and leaves a backdoor so he can remotely access the OS later. His actions are celebrated by DedSec and he is initiated into the group. Their first order of business is to gain a huge amount of online followers, which will somehow help them to expose Blume and cripple ctOS. 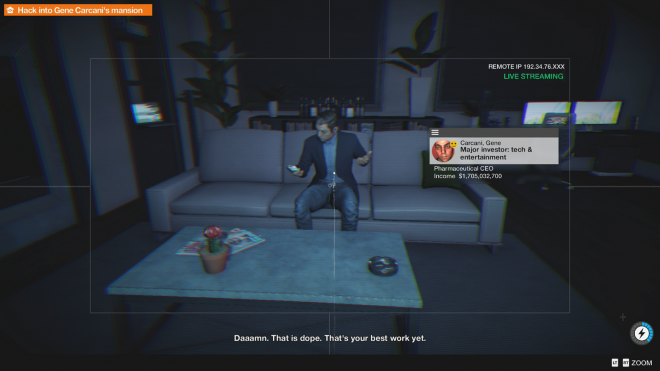 There are only a few holdovers from 'Watch Dogs', like DedSec and the basic process of smartphone hacking. Otherwise, Ubisoft went back to the well to develop an experience that is a marked departure. The dark, almost dystopian atmosphere of the first game has been replaced with a more vibrant and campy tone. It's kind of similar to how 'Saint's Row' went from a 'GTA' clone to the wacky, crass experience we have today, and like that franchise I think that the tonal shift works for 'Watch Dogs 2' more often than not. It doesn't get bogged down in trying to be gritty or emotionally deep. It's focused more on fun and in adapting contemporary online culture into a quasi-revolutionary force, or if not that then at least something you can make a video game about. It sounds silly to talk about and it is quite silly - collecting social media followers to force a digital revolt, a hipster hacker who is adept in the use of any gun and frequently beats up hardened gang members, hacktivist clubhouses in the basements of hobby gaming stores, etc. It doesn't take itself seriously and doesn't ask its players to, and yet despite all of the silliness (or probably because of it) it's a blast to play. Progress has also been made in how the game actually plays. 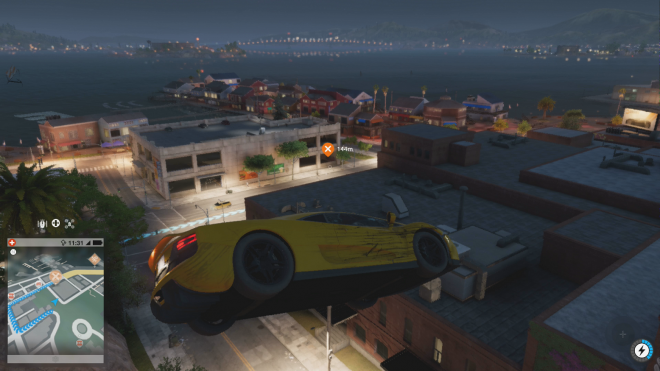 Driving has been overhauled and while I expected a standard open world offering, 'Watch Dogs 2' actually has a driving system that is very well done. Cars are fast and responsive, with even cheap wagons and SUVs often handling excellently, letting me zip around San Francisco with reckless abandon. Nicer cars are even better, and thankfully are quite commonly parked around the city just waiting to be stolen and driven into oblivion. Likewise, stealth was given an upgrade and for the most part is an extremely effective system. There are moments when it stumbles, like enemies being able to see through corners or other little glitches, but by and large it is far better than the stealth found in most sandbox games. Hacking is the game's most important feature and has been bundled with an ergonomic interface and an understandable skill tree. Marcus can take control of just about any electronic device with a few presses of his smartphone, fitting seamlessly into combat, driving, and stealth. He can set up traps with junction boxes and air conditioning units, and even possess people's phones to knock them out with overcharged batteries. He can glean personal details about random passersby and swipe their bank accounts or use their conversations to fuel side missions. Early on in the game he can use the magical DedSec 3D printer to make an RC car and flying drone, which are very useful for getting into places under a low profile and reaching vantage points for remote hacking. Instead of locking open world content away behind a series of missions, the "campaign" vanished right away and left me to my own devices in San Francisco. Marcus only needs to amass followers to progress through the critical path, and this can be done from almost any activity. The city is rife with things to do, and instead of being simple checklist items, they are typically enjoyable. Not being a fan of social media or selfies in real life, I surprised myself by discovering that I love driving around digital San Francisco and taking pictures of myself at tourist traps. It adds a few followers each time but more importantly teaches me fun facts about the real life city. Have you heard of the San Francisco bush man? He's a busker who hides in a bush and startles tourists walking nearby; that's his entire act. He's been doing it since 1980 and can clear $60,000 a year in tips. It's interesting little nuggets like these that make exploration in 'Watch Dogs 2' so compelling, and of course it's nice that I can shake up my sightseeing by cruising around in hijacked muscle cars and stealing the personal details of unaware locals. Marcus and his DedSec buddies serve as video game embodiments of online pop culture. They geek about B-movie trailers, share memes and pixel art, and reminisce about historical hacking escapades they're too young to remember. For some of them it's the only thing that makes them interesting, but others like Marcus have at least a little bit of charm. 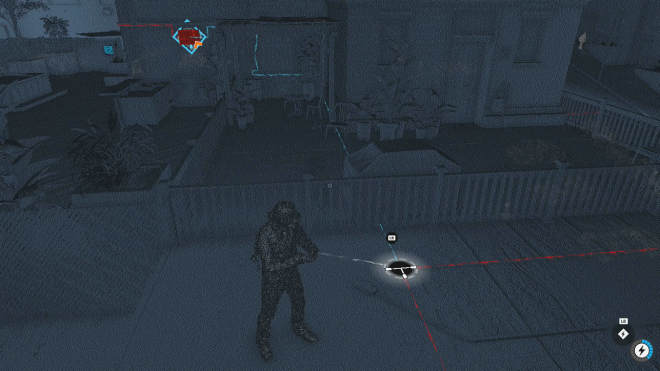 Fans of the previous game will find a lot of Easter eggs scattered about, even a subplot concerning Aiden Pearce. 'Watch Dogs 2' looks nice and the engine has made strides in just about everything. It's not amazing, but at least brings the franchise closer to the pre-'Watch Dogs' trenchcoat hype. There are some issues with blotchy shadows and the overly grainy detective mode filter, but performance is high. The licensed soundtrack is an eclectic mix of pop, rap, and rock, with the occasional outlier like reggae or dark country. Songs can be added by exploring the city, and custom playlists can be made with the in-game smartphone app and played anytime. Sound effects are excellent, particularly during DedSec propaganda, although there are weird mixing problems like some being much louder than others. The voice acting doesn't particularly stand out. 'Watch Dogs 2's Bay Area is a great open world, one of Ubisoft's best in recent memory. The game pushed me towards exploration at every opportunity, and side missions and activities all open up organically as the campaign moves forward. At the time of writing, the drop-in multiplayer is not yet available, apparently still being fine-tuned by the developers (why let a release date get in the way, after all?). Co-op missions can be completed solo at least, and have an interesting level design and slightly higher difficulty. Ubisoft has refined 'Watch Dogs 2' into not only a more polished continuation of the first game, but an admirable sandbox in its own right. I was pleasantly surprised by its conversion to a campier experience and dedication to solid gameplay mechanics, and will have no problem tracking down every little selfie and side mission in the Bay Area for many hours to come.